Heads Up (before you even begin reading this post) – This post contains a LOT of spoilers, as it is a book discussion and not a review. If you haven’t read this book, do check out my spoiler-free review here. Once you do get a chance to read the book, I would love it if you would participate in the discussion. Have you understood the concept of free will in this book? Henry says that he only has free will in the present, and not in the past and future; which makes sense – kind of. But this also gets a little confusing – when 36-year-old Henry meets 6-year-old Clare for the first time (from Clare’s POV that is), the first meeting (from Henry’s POV) when Henry was 28 and Clare was 20, has already happened. But it is this meeting at 36, that affected the meeting at 28, which basically means that it was all predestined. So where does free will fit in this situation? As I see it, the whole thing is a paradox. He went to a past from a future that couldn’t have existed unless he changed the past in order to affect that future. But I guess, in this book you can’t really worry about paradoxes (without driving yourself insane); you just have to let go of the feeling that something might never have happened were it not for the other thing, as the cause and effect are impossibly tangled up. Did you guys feel the same way? The other thing that has troubled me about this book is how the ending has been handled. One of the things that I absolutely loved in this book was Henry’s final letter to Clare – the one in which he asks her to embrace and really LIVE her life. That was incredibly touching, and so poignant. However, there is no indication that she did. All I saw her doing was crying, and sleeping, and crying, and sleeping some more. That is just so sad. She had a daughter – a daughter that SHE very much wanted, but Clare’s love and commitment towards Alba just did not come across (if it was even present). I agree that losing one’s spouse is a devastating experience, but so is losing a parent, and I did not see Clare wanting to make it better for Alba. She was just focused on her own grief, and it seemed like she left Alba to her own devices. Now this could have been a passing phase – a mourning period -which is completely understandable. And for some time, Clare can be excused for being overwhelmed by her grief and not being able to focus on anything/anyone else. But then the author just skipped all the remaining years (and 47 years is kind of a big jump, no? ), and brought the story to when Clare was 82. It felt extremely unfair to me that the author did not even give a summary of how Clare and Alba went through their lives after Henry- how did they deal with Alba having the same disorder? 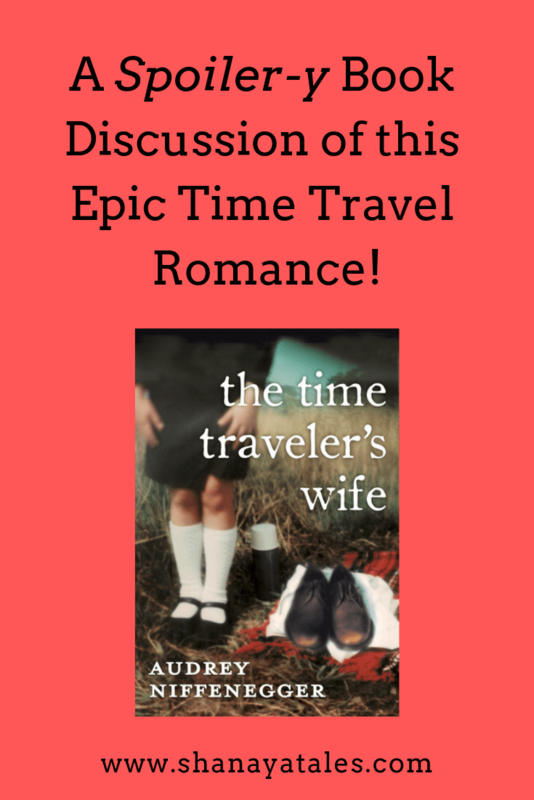 -what did Alba choose in the future?- did she embrace time travel or try to stop it? Not too many details, but a brief summary was required. 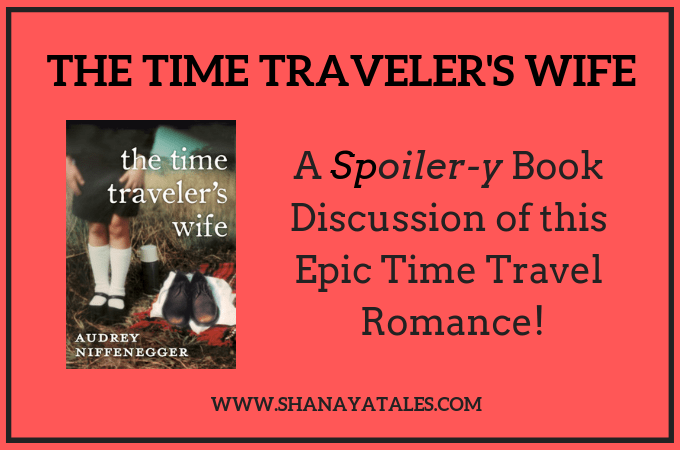 The irony here is that the book is titled The Time Traveler’s Wife, yet more than half of Clare’s life was just glossed over, as if it did not have any relevance without Henry. Did you guys feel that the readers deserved a summary? Or did you think that it was fine to leave it to our imagination? Incredibly Romantic or Extremely Cruel? My feelings about the ending depend on my mood. Some days I feel that the ending was depressing, but realistic, as not everyone gets a happily ever after. But on other days I feel like the ending was horrible. Sure life isn’t always about rainbows and butterflies, but it isn’t always this traumatic either. Moreover, I honestly can’t decide whether Clare being able to see Henry one last time (as a younger man jumping way ahead in time, so it was still the past for Henry, who was still dead) was incredibly poignant and touching, or extremely cruel. Especially him mentioning their meeting in the distant future in the letter – Is that a comfort? I don’t know! I think it can be very torturous for the other person who has a lifetime of waiting ahead of them. I know Henry told Clare to not wait, but given the circumstances, it’s complicated. Did you guys feel that the ending should have been different? Or at-least should have been fleshed out more? Get this book – you will not regret it! I haven’t read the book and it has been on TBR list since like forever. So I am book marking this for now and coming back once I’m done with the book. To all your queries I want to say that the book was about the impossible love between the two. With all the time traveling and the awareness that this is happening. The emotions, turmoil all to show that the climax was no climax. It was all spiralling to the end! I could sense that pain all through. The logical idea that their love was experiencing. Death. Hi Shantala, Free will, time travel all interesting concepts seem to be punched in the book, though from the review it appears that you didn’t quite like a depressing ending. Well I too have a bias towards a plain or a better ending, I share your view that though the world may not be rosy but neither it is always miserable.